Engagement portraits are such a delight to photograph. With the sheer volume of amazing locations to photography portraits in the Portland area, we never have a problem selecting someplace that lets the couple shine. So it was a delight to photograph Christi and Sam in the Columbia River Gorge. (Can you say ‘Gorgeous’?) Kai worked with them to select some fantastic locations, which he knows from his years of hiking and photographing in the area. Waterfalls and fields of grass, and that magical evening light…. Ready for your engagement portrait photography session, in Portland or the Columbia River Gorge? Give us a call today to discuss! A year ago, we had the privilege of photographing Arvind and Hana’s proposal and engagement here in Portland. They were on vacation in Portland when he proposed, and she said yes. We love proposal photography! So we were super excited when they asked us to come and photograph their wedding in St. Cloud, Minnesota! When we first met Hana and Arvind after stalking them through Hoyt Arboretum to catch Arvind popping the question, we all became fast friends. Arvind is a smart guy with a sweet disposition and his love for Hana is apparent the moment you see him looking at her. Hana on the other hand is a strong boisterous gal with lots of love and attitude to spare, but in front of Arvind she melts away into nothing but smiles and laugher. These two planned the entire wedding themselves, and what a wedding it was! It was held at the beautiful 912 Plaza in downtown St. Cloud, on the luckiest of late January days. Normally temperatures at this time can be as low as 20 degrees and we lucked out with it being in the high 30’s. We were so happy as this venue has a beautiful raised outdoor deck, and the downtown area was a great backdrop for some of our images. Everything for this wedding went beautifully! Arvind and Hana said I do in front of their closest family and friends. From the receiving line to the heartfelt toasts, everyone was feeling the love in the room. And it didn’t stop there! This group kept going well into the evening, making good use of the photo booth and cutting it up on the dance floor. Whether you’re getting married in Portland, or St Cloud, we’re ready to be your destination wedding photographers! Give us a call today, and let’s talk about your proposal or wedding photography. Mary Fee - How fab, from engagement to their big day! Wedding Photos on New Custom USB Drives! We’re super excited to now be offering our FritzPhoto wedding photography couples their digital files delivered on one of our new custom USB drives! We just got these beautifully printed drives–the size of a credit card! (From www.usbmemorydirect.com.) Say goodbye to CDs, and hello to these classy drives that you can carry in your wallet (if you just can’t leave your wedding photos at home). It is so much fun to sneak around and photograph people proposing! Every time we photograph a proposal, it’s exciting and moving. When Nick called us from Arkansas, to say that he wanted to propose to his girlfriend Rachel in the Portland area, we were excited to help him plan it. We helped him select a great location (Wahclella Falls, in the Columbia River Gorge), and planned it all out with him. And it worked! Rachel said yes! We also like tophotograph some engagement portraits while we’re at it. 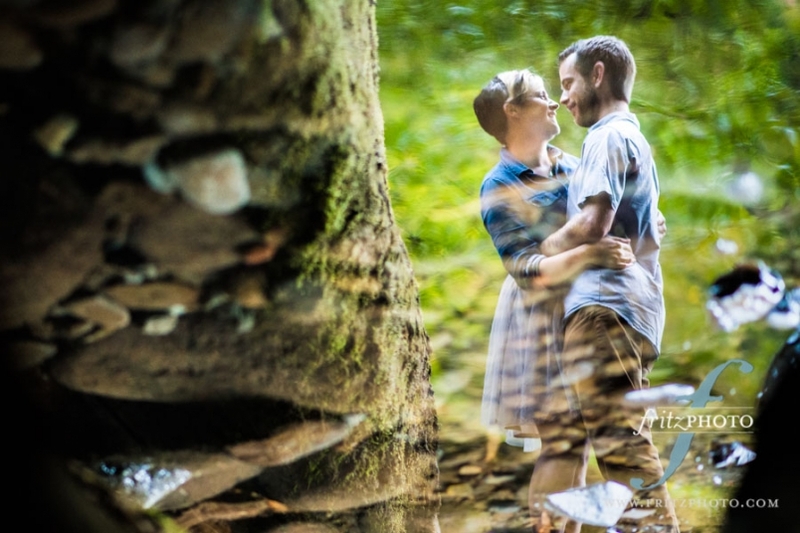 After the proposal, we spend a lot of time creating some beautiful portraits of the couple together. Aren’t Nick and Rachel cute? Rarely have I ever seen so many beautiful people so elegantly attired as I did at Leslie and Callie’s wedding. A Black Tie New Year’s Eve Gala Wedding at Portland’s Castaway, it was the place to be! We set up our PhotoBooth, in front of the beautiful flowered backdrop that some of the bride’s friends had made. And then, magically, a parade of elegant people came through to be photographed! It was a lot of fun. We uploaded the images immediately to their PhotoBooth album on the Fritz Photography Facebook Page, and the guests went wild! Hundreds of likes and comments, that night, and for weeks to come. People loved seeing and sharing their photobooth photos, using them as profile pictures, and complimenting their friends and family. That’s why we love putting our PhotoBooth photos on Facebook for our guests. It’s just more fun for everyone! When Jesslyn contacted me, saying she wanted to create a family photo in the style of Vogue and Vanity Fair, I was in. I really enjoy it when a customer comes to me with a creative idea, and wants something out of the norm. Do you have a great idea for a family portrait or photo session in Portland? Tell us! We want to hear about it, and look forward to creating some stunning family portrait photographs for you too! Kathryn and Justin’s engagement portrait photography session was such an adventure. We wanted to do their session at Wahclella Falls, in the Columbia River Gorge. But as we started the hike we quickly realized it wasn’t possible with all of the snow! So we quickly thought about what we could do. We decided to drive around on the historic highway and stop at beautiful locations along the way! We ended up finding a lake that was absolutely perfect. The snow with the mountains made for an amazing backdrop, and their love (plus they’re adorable puppy) made for such a fun shoot! 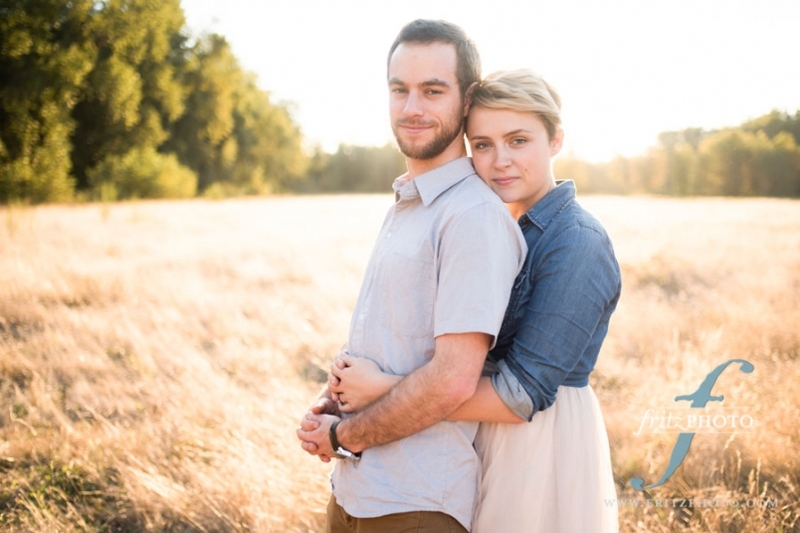 We love being engagement portrait photographers in Portland and the surrounding area! 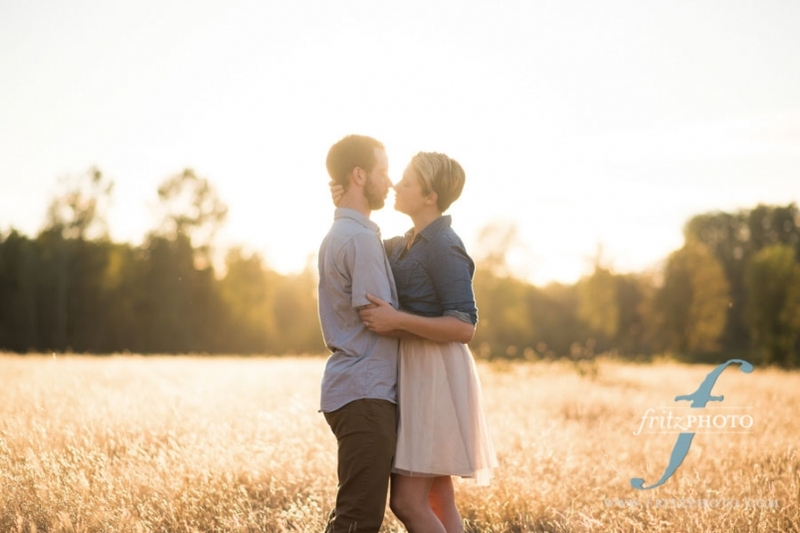 There are so many beautiful locations for engagement portrait photography in Oregon. Call us today to schedule your engagement portrait photography session! I love it when we get to photograph senior portraits in the winter in Oregon. It’s a quieter season, the parks are empty, and the bare landscape can lend itself to some lovely images. So when Simona called to schedule her senior photo session, I was excited. A senior at Madison High School in Portland, her high school wisely delayed their yearbook photo deadline due to all the recent snow day closures. We met up at Jenkins Estate in Beaverton, and had the place to ourselves. It was a beautiful winter afternoon, with that lovely soft light that comes through high, thin clouds. Add in a beautiful young lady, and we had a great time photographing her portraits together! Ready for your senior photo session in Beaverton, Hillsboro, or anywhere in the Portland area? Give us a call! We can’t wait to create some stunning senior portrait photographs with you. Jae and Reka decided to have an intimate wedding at Cathedral Park, in the St John’s neighborhood of Portland. (They Skyped in their families on their phones!) The day was warm and sunny, light and airy, and it suited them perfectly. Even in the wet and cold of winter…we manage to take beautiful wedding portraits. We just created these beautiful images at Cathedral Park, in Portland. In spite of the drizzle and chill, we had a great time! Brian and his bride gave us big hugs as we parted. It was a lovely afternoon! Last but not least, Anne and Elyse. Now that was a fun weekend. Two days of fun with their friends at a camp in the woods. How often do you see a wedding party in their swim trunks? What more could you ask for out of a wedding weekend?